Double-Platinum country band and Arista Nashville hit makers LANCO return with a blast of rafter-shaking energy, dropping the fist-pumping, outsiders anthem “Rival.” A rowdy, other-side-of-the-tracks tribute to forgetting the haters and standing your ground, “Rival” represents “the next step” in LANCO’s evolution and the first taste of the chart-topping band’s upcoming second album. Fans can listen to “Rival” at all digital retailers. 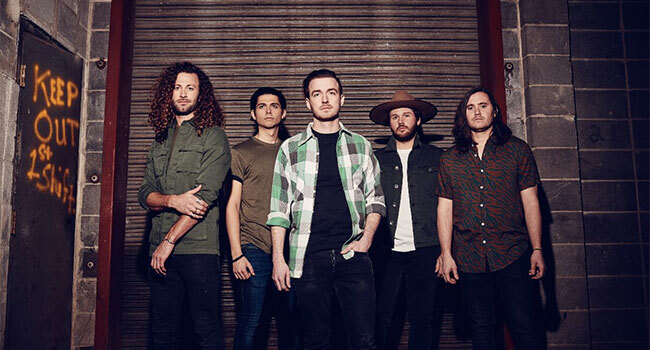 LANCO has paved the course for critical acclaim with the success of their double platinum single “Greatest Love Story” which became a multi-week chart topper. Following the release of their No. 1 selling debut album Hallelujah Nights, both moments were historical in country music as Lancaster became the first artist in ten years to have a No. 1 on the chart solely written by that artist, while LANCO served as the first country group in a decade to appear at the top of the Billboard Country albums chart with a debut album. As it now boasts over 426 million streams, LANCO has “won admirers among its peers” (Billboard) earning nominations from the ACM, CMT, CMA, AMA, and iHeart Awards, while Lancaster became the first member of a group to ever win NSAI’s “Songwriter/Artist of the Year.” They recently wrapped first-ever headlining Hallelujah Nights Tour to capacity crowds throughout the country and currently serve as direct support for Luke Combs’ Beer Never Broke My Heart Tour.